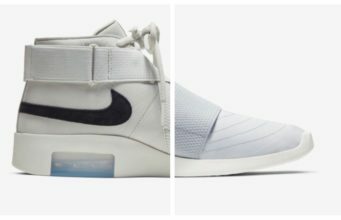 Off-White and Nike are starting to deliver on their promise of more shoes and more colorways. 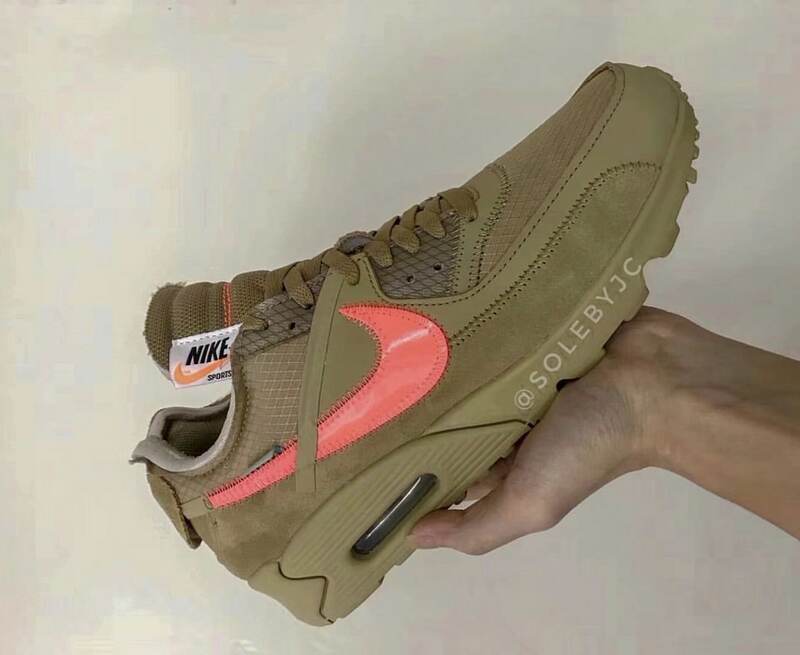 After an extensive look at several new pairs during the Louis V fashion show, we now have a good look at the Nike Air Max 90 “Desert” coming in October. With dozens of new colorways rumored to release this year, new Off-White x Nike leaks are no longer surprising. We now know for sure that “The Ten” collection will expand monumentally, releasing in a handful of new color options for each shoe. 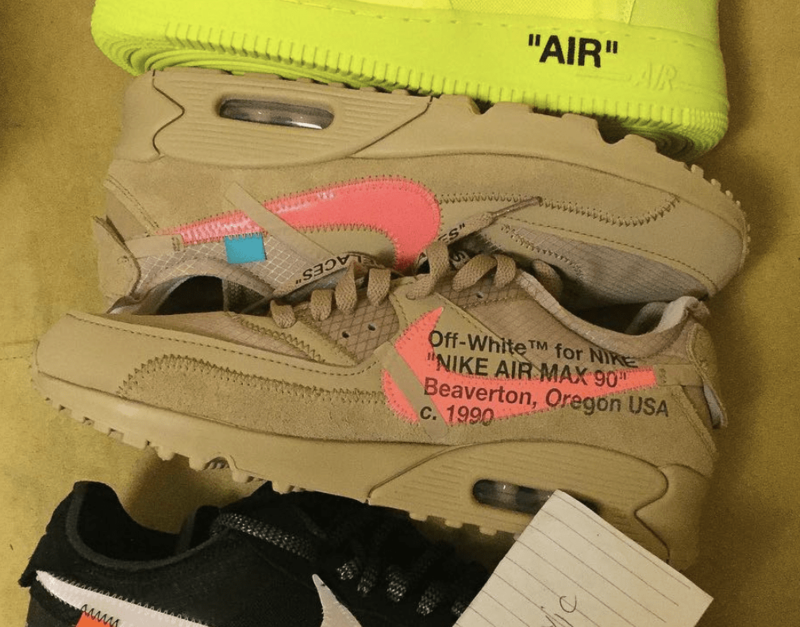 The new colorways coming this year already include Volt, Rose, Pink and now, the Off-White x Air Max 90 low in a smooth sand-like “Desert” tone. Thanks to our friend SolebyJC, we have initial release information for the shoe as well as a mock-up of what it may look like. Off-White and Nike have actually already shown us what this colorway will look like in person. At the Louis Vuitton fashion show in Paris this week, Virgil dressed his models in several upcoming colorways of the Air Max 97 and Blazer, the latter of which was spotted in the clean sandy tone. 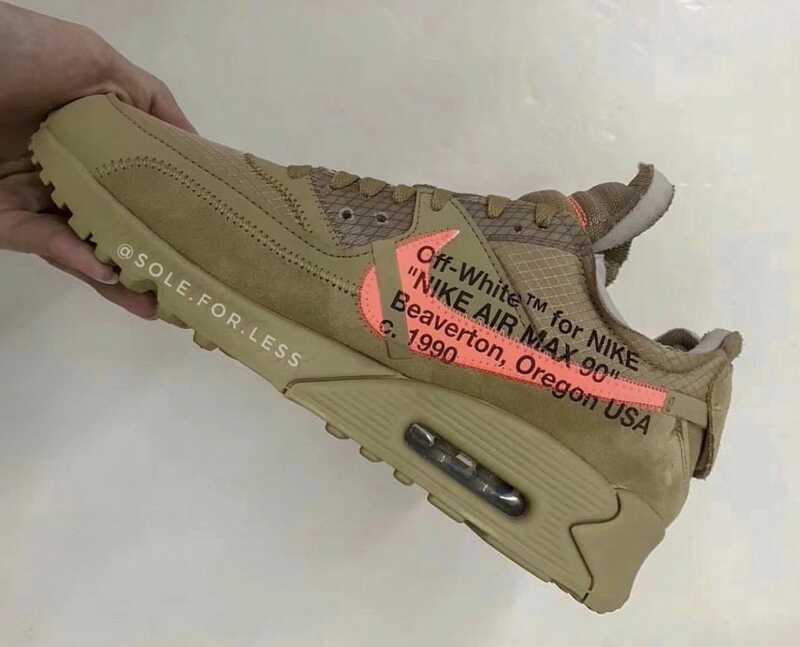 Almost the entirety of this Air Max 90 will come dressed in the khaki color, save for the signature Off-White details. The Swoosh will be bright orange, taking on the Mango Pantone, while the tab on the tail will come in Hyper Jade this time around. Next, the stray strips attached to the Swoosh will come in black to hold the colors together. The latest colorway of the Off-White x Nike Air Max 90 is scheduled to release late 2018/early 2019. Though no specific date has been given, we know the shoe will retail for $160. Check out the early mockup below for a better look at the new color scheme, and stay tuned to JustFreshKicks for more Off-White x Nike news.